Make family and friends hunger for your item of choice with this Alligator Catch All from Arthur Court. 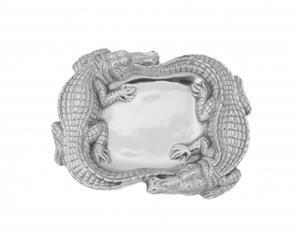 Beautifully detailed gators chase each other around the dish, each scaly plate on their skin reflecting in a brilliant luster. 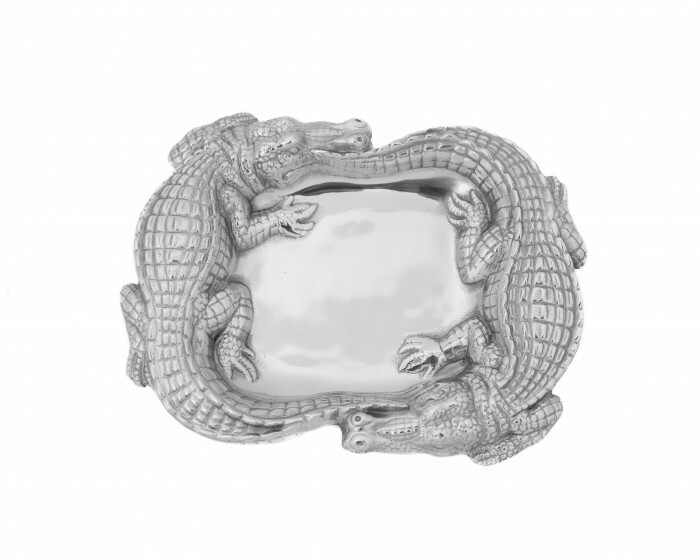 Handcrafted in sand-cast aluminum, this dish is sure to be an instant party favorite! Size: Length: 9.0" / Width: 7.0" / Height: 1.25"